Are you planning a road trip this summer? Even if you have your vehicle checked out thoroughly for any mechanical problems prior to leaving (really, a must), you should also be prepared in case you happen to get stranded on a lonely stretch of road with little or no cell phone service. Especially if you like to venture off main highways and explore out-of-the-way roads and tiny towns, you should carry a paper road map to help locate where you are. Smartphones are wonderful for giving directions from one place to another or finding gas stations, tow trucks, or car dealerships in case of trouble. But your phone might not work as well as you need if you’re traveling on an isolated country road. 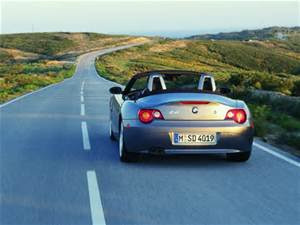 Driving the open road is fun--until trouble hits. A red hazard warning triangle will alert other motorists if you have pulled to the side of the road, or if you can’t get the car off the road. In addition, or if you don’t have one of these, be sure to put your blinking emergency lights on. This makes your car more visible and will alert passing vehicles to the fact your car is not moving and that you might need assistance. Hazard lights serve as warnings. You can also hang a white cloth or piece of paper from the driver’s side window, scribble a sign to put in the rear window, or tie a cloth on your car’s antenna as a signal for help. If you get out of the car to check on the problem, be sure not to stand or work on the car near the traffic side. After dark, put on the interior light to signal the need for help. If the car’s engine will still run, turn it on periodically so you don’t run the battery down. If you get out of the car to flag down help, don’t block the hazard lights or stand in the path of oncoming traffic. Should you stay with the car or seek help? The safest thing is stay with the car unless you recently passed something (a building, for example) where you might find assistance. If you’re certain help is within a reasonable walking distance, pull off the road and put a warning system into effect before leaving the vehicle. Your main objective when stranded on the road is to remain visible while signaling your need for assistance. Even in the middle of nowhere, it’s possible either a stalled car or a driver wandering on the road may become victims of an accident because other drivers do not see them in time and realize their plight.